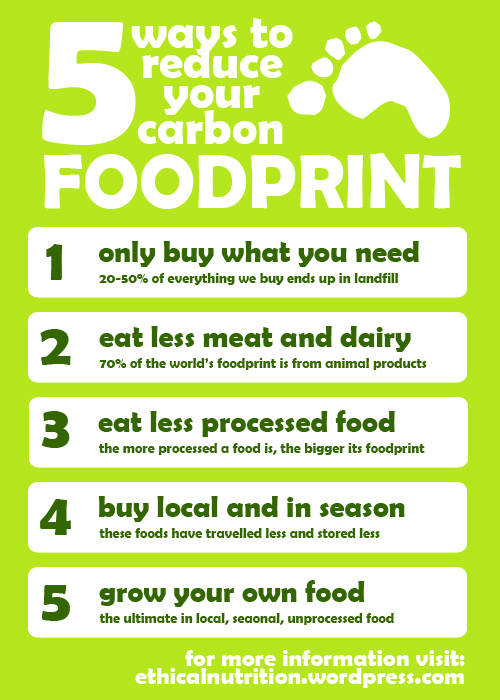 Did you know that one third of the world’s carbon footprint comes from food production? You may be surprised how often environmental sustainability and nutrition go hand in hand. Half of our carbon footprint (or “FOOD-print”) is from the food we eat.